Only store what you really need to. Have a thorough de-clutter before you start, and only hold on to those documents that you absolutely have to. When you are paying for professional storage, this is time well spent as it will save you money. Remove duplicates. Often businesses keep the same record two, three even four or more times. Before sending your documents to self-storage, remove all the duplicate documents and recycle them to save space and money. Use archive boxes. Lever arch files might be convenient for shelves in the office, but in self storage this is going to be wasted space. 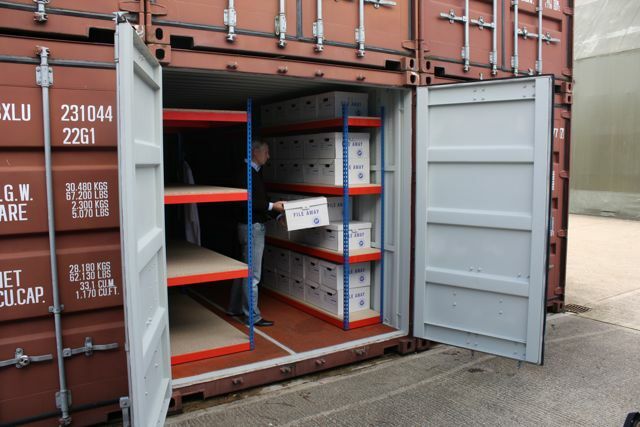 Use proper archive boxes with dividers to maximise your available space. Pack the boxes logically. When you put them in self storage, place them so that the ones that can be got rid of next year are closest to the front. Label them all clearly, and don’t forget to come back in a years’ time and refresh your archive.